Wax Bottles have been around for generations and are so much fun to consume. 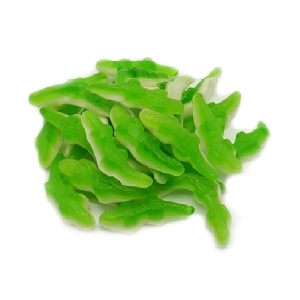 Made of soft wax bottles which are filled with fruit flavored syrups you just bite off the top, drink them and you can even chew the wax like gum if you wish. 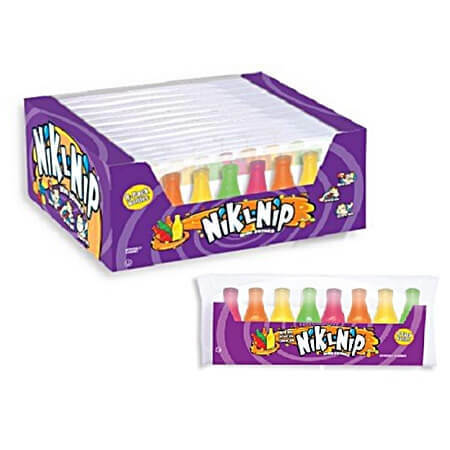 The name, Nik-L-Nips, comes from the fact that they cost a nickel when they first came out and you "nip" the top off to drink. 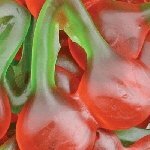 This is truly one novelty candy you will want in your store and shoppers are sure to be pleased when they see the nostalgic candy on your shelves. 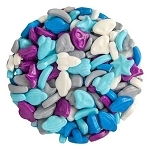 Order your fun candy today. Very good! Happy with this purchase! Chewy wax bottle filled with sugary sweet liquid. The best of both worlds!